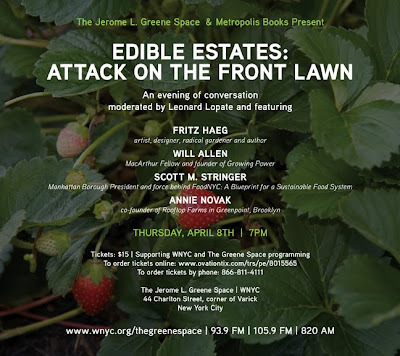 There's an a great looking program on urban food growing next week hosted by WNYC. More information here. And online booking here. 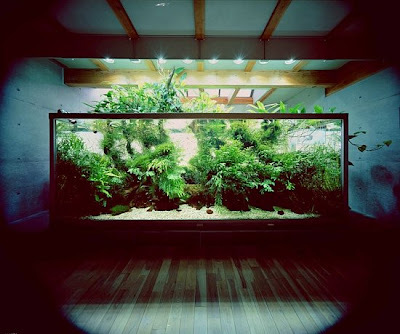 I came across the Japanese photographer and aquarium builder, Takashi Amano, through Delphine, a new facebook friend and blogger from France. 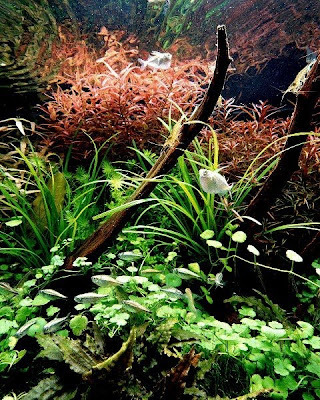 I'll admit I don't know much about Mr. Amano other than that he is well-known among aquarium hobbyists and that has published several books of his designs and photography. 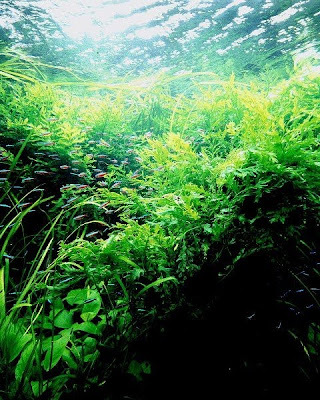 As someone who last had an unsuccessful aquarium in junior high school filled with plastic plants, I am very impressed by this naturalistic style of aquatic horticulture that uses real plants (or is that aquaculture?) Thank you Delphine! "I'm as restless as a willow in a windstorm, I'm as jumpy as puppet on a string. I'd say that I had spring fever, but I know it isn't spring"
We had the good fortune of seeing Blossom Dearie perform in her last years at the back bar of a Thai seafood restaurant on West 46th Street. The quirky, hidden nightspot with starfish and fishing nets on the wall was the perfect place to see her. She was a great singer/pianist to the end. 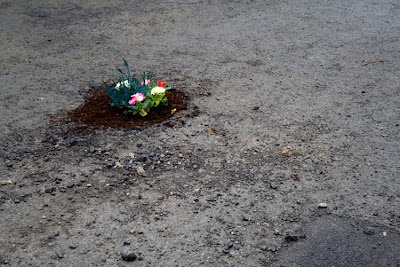 Obviously these little gardens by artist Pete Dungey are more of an artistic statement than an act of viable horticulture. 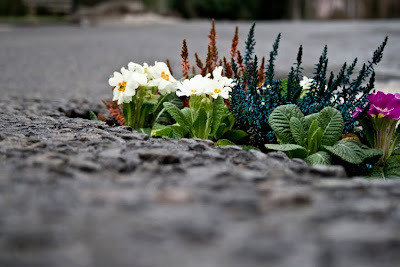 But still here at the end of winter they provide a smile and a solution to the season's new crop of potholes. Dungey is a graphic design student at the University of Brighton. I appreciate indoor plants the most during these last lagging winter months of February and March. 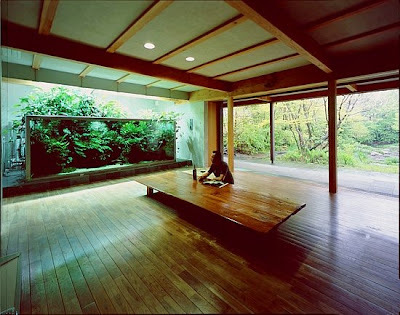 Some people say they hate houseplants but I think they are a surefire cure for S.A.D. 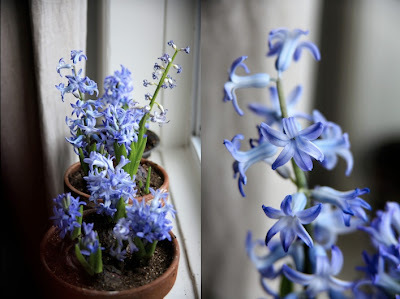 I put these hyacinth bulbs in the refrigerator back in October and now they are have finally blossomed. What a fragrance. 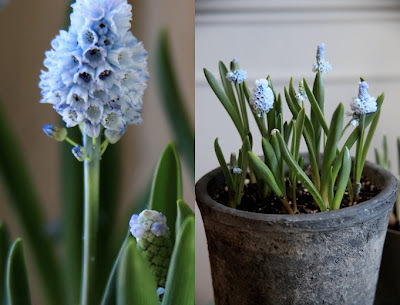 This variety, Blue Festival, above, is bred to have a more graceful open stalk of flowers similar to the old-fashioned Roman hyacinths which don't seem to be in the trade anymore. I love scented geraniums but don't have great luck with them as houseplants. I plan to take these to the upstate porch this summer where I hope they will thrive. From left to right, they are 'Chocolate Mint', 'Lemon Crispum', and 'Skeleton Rose'. I absentmindedly rub the leaves to release the calming scent of their leaves while I'm talking on the phone—especially to demanding editors. My dad got the red Navajo vase in 1935 when he was seven years old on a trip with his parents to Arizona. The small sphere is by Pamela Sunday. The carved "Wind" vase is by Klein Reid and the small blue art glass bowl is Italian (I think). The other white vases used as cache-pots are old McCoy Floraline. 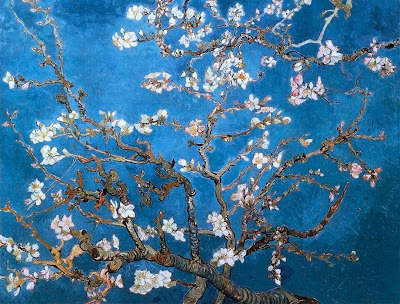 "The almond blossom is ubiquitous in the Japanese prints Van Gogh would have seen. But it was not merely a motif for him. The almond branch was a symbol of life itself, of life opening up and joy in its presence. This painting is one of many images he made of blossoming fruit trees. Van Gogh became intrigued with the subject shortly after arriving in Arles. 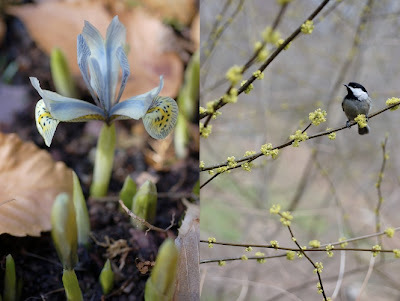 Within several weeks, he saw the Provençal orchards begin their spring bloom. Eventually Van Gogh made twenty canvases depicting them especially the peach, almond, and pear trees. For this work Van Gogh chose a young almond tree, with just a few branches. Standing beside a path, which moves asymmetrically across the canvas, its blooms stretch literally out of the composition to form a lacelike screen before the middle and far ground of the work. Strong, vertical brushstrokes contribute to a mood of tranquillity and an oriental aesthetic. In the distance the red rooflines of houses can be seen. Perhaps Van Gogh's most momentous painting of almond branches in blossom was one that he would later produce to celebrate the birth of his nephew. Theo had married, and in February 1890 his wife Johanna gave birth to a son, whom they named Vincent Willem after his uncle. Van Gogh was very pleased. To mark that event he produced a beautiful painting shown above on the right of large branches of almond blossoms against a blue sky for the proud mother and father, intended for their bedroom. Produced near the end of Van Gogh's life, it assumes special poignancy as a symbol of hope and joy amid pain and turmoil.The almond blossom is ubiquitous in the Japanese prints Van Gogh would have seen. But it was not merely a motif for him. 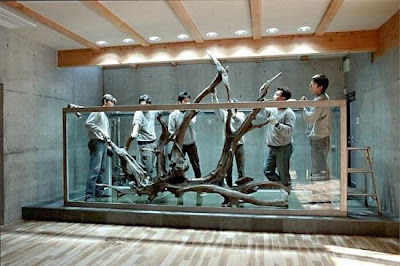 The almond branch was a symbol of life itself, of life opening up and joy in its presence. This painting is one of many images he made of blossoming fruit trees. Van Gogh became intrigued with the subject shortly after arriving in Arles. Within several weeks, he saw the Provençal orchards begin their spring bloom. Eventually Van Gogh made twenty canvases depicting them especially the peach, almond, and pear trees. Perhaps Van Gogh's most momentous painting of almond branches in blossom was one that he would later produce to celebrate the birth of his nephew. Theo had married, and in February 1890 his wife Johanna gave birth to a son, whom they named Vincent Willem after his uncle. Van Gogh was very pleased. To mark that event he produced a beautiful painting shown above on the right of large branches of almond blossoms against a blue sky for the proud mother and father, intended for their bedroom. Produced near the end of Van Gogh's life, it assumes special poignancy as a symbol of hope and joy amid pain and turmoil." 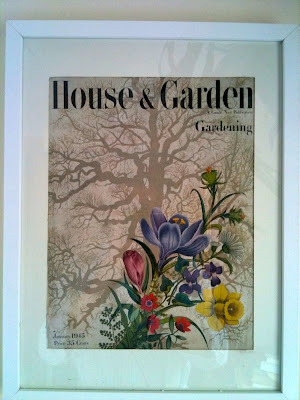 I found this springy cover of a 1945 House & Garden at the 26th Street flea market the other week. Now it hangs in my office to remind me of the good old days of magazines. Can you imagine a garden magazine designing such a lovely illustrated cover today?